Have you ever wondered how Asana has been creating a buzz for so long in the niche of project management? If you also want to create an app like Asana to simplify the life of masses no matter in which areas of their lives, then unfold three must-to-know things behind the success of Asana. That being said- If it’s not in Asana, it’s not going to happen”. Among erroneous & one of the best project management apps, people would still love to work with Asana. Launched back in 2012, Asana is a web and mobile app, which is designed to help teams to track their work. And, it is founded by the co-founder of Facebook Dustin Moskovitz and ex-engineer Justin Rosenstein. 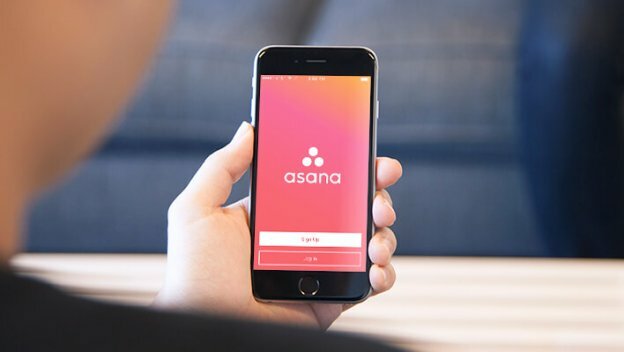 According to the news, “Asana is getting a major infusion, and it secures $75M Series D led by AI Gore (former U.S Vice President) Generation Investment Management, which is a London-based firm”. The collaboration of Asana has become increased. According to the source from Asana’s official website, “45% of paid customers have come from the outside from the United States. As it includes the teams at companies like Trivago, Spotify, and Decathlon. The number of total visits of Asana is 25.95M as you can see in the below image. Asana ranks number 6 out of 200 platforms, according to the source from its official website. When it comes to traffic share of Asana, it is continually growing that you can see in the below image. Furthermore, GetApp ranks 25 in top project management apps. As you can see in the below image, in which Asana has got second place on the list. Every tool is secured on the basis of user reviews, integrations, mobile app availability, media presence, and security. This report is from Project Management Category Leaders Q1 2018. As you might be aware of that Asana ensures to do teamwork without any single email. Basically, Asana is a task and project management tool, which facilitates the team collaboration as well as communication of any firm. Integrations with third-party apps such as Dropbox and Google Hangout. Messages are encrypted for security. User can view progress reports. Provides features, which allow teams to organize and manage the tasks efficiently. The user can add task by email, and sync to Google Calendar or iCalender. A cloud-based project and task management solution, Asana has smart and flexible internal structure. On a fundamental level, Asana is based on the deep insights into the way of people work, specifically when it is all about team collaboration. Before jumping into the steps of how the user can follow Asana whether for teamwork or personal use, let’s have a quick look at the features of one of the best project management applications – Asana. Workspaces: One of the big building blocks of Asana tool is – workspaces. It is a section where all the projects are live. For personal task management, the user can create a set of workspaces in order to stay on top of different priorities in his workplace. Within the workspace section, the user can create a number of projects in order to match different areas of focus. In this, the search feature is easy and customized and providing seamless experience at the same time. Tasks: It provides deepest level of organizing user’s work in Asana. Simply, it is just to-dos. It also enables user to add a variety of information within a task. In simple terms, we can say, it can be a real powerhouse of your work. Also, you can include this must-have feature for developing the Asana alternatives project management mobile app. 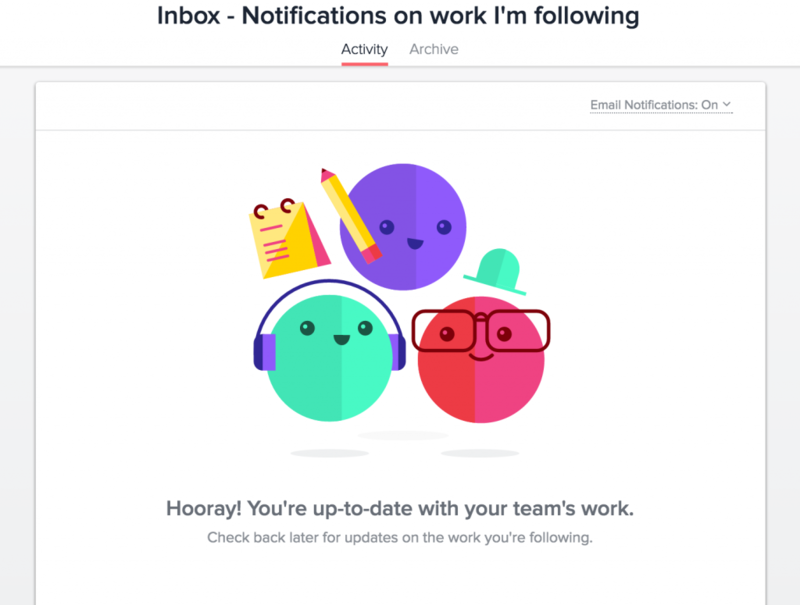 Inbox: Asana provides the user with an inbox of his own without switching the tabs. Calendar: One of the real treasures in Asana is Calender. Rather than a standalone app, this feature is integrated as an alternative view for tasks. This means that user can easily switch between ‘list view’ and ‘calendar view’. Undoubtedly, the structure of Asana is pretty simple. If user needs to set up a project for team collaboration, check out the simple steps how to set up a team project with Asana. Undoubtedly, large enterprises have complicated requirements. However, whether it is startup company or a big sized firm, every enterprise wants the same thing i.e. to move fast and do work with purpose. If you are planning to create the alternatives to asana, it is important that the tool should simplify the team-based work management. Also, such tool must provide a platform to users for personal, team, and project workspaces, and allow them to organize their work into shared projects. If you have made-up your mind to develop an app like Asana, and have one of the important questions in your mind like – how much does it cost to develop an app like Asana? 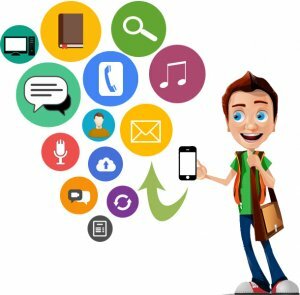 Generally, the cost of developing an app like Asana varies as it depends on different factors like features, platform (iOS and Android) that you want to develop on, and iPhone app developer that you will hire. However, if you want to know the exact of developing app like Asana, feel free to get in touch with us through the below-given form and let us know your requirements. Our business team will get back to you within 48 hours! This page was last edited on December 7th, 2018, at 6:49. 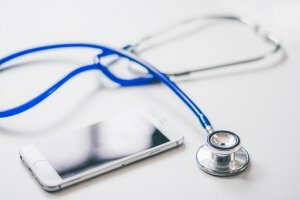 Why Mobile Healthcare App Development Should be Taken Seriously?